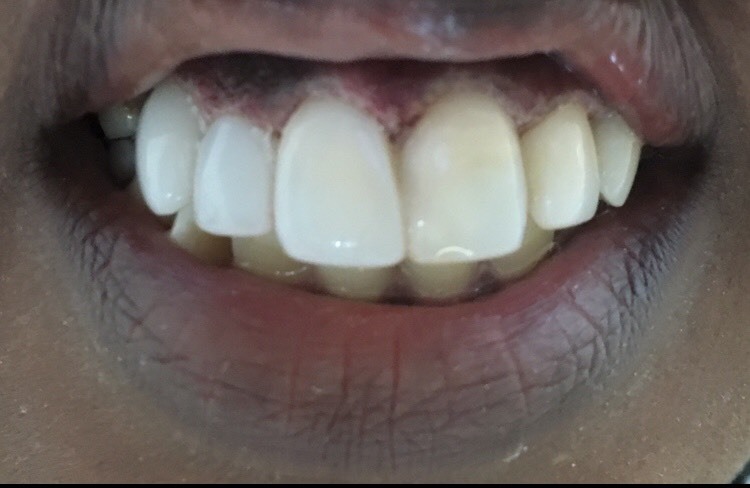 Before: Patient had 2 front crowns done a year ago in Chicago, Illinois. 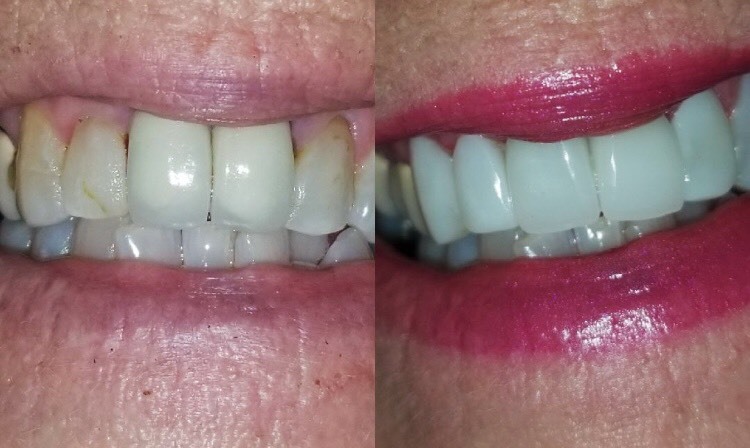 She didn’t like the way they look and her dark teeth on both sides of the two front teeth. 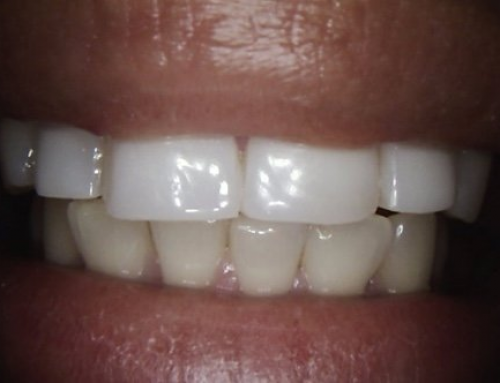 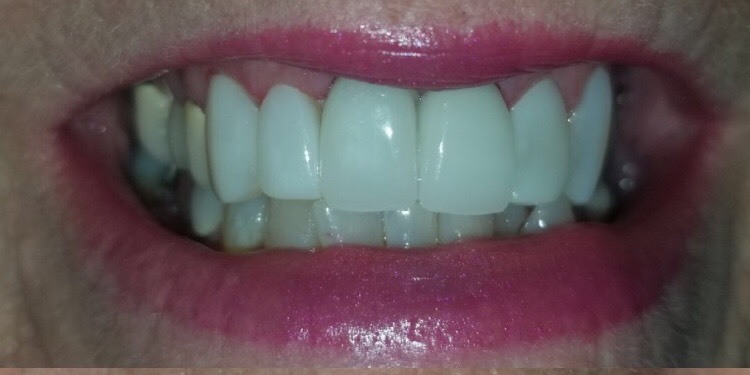 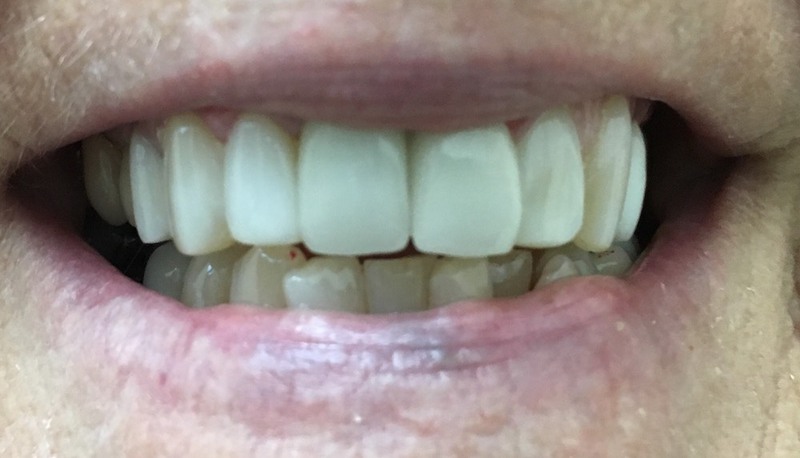 After 6 hours in One Visit on same day with 2 CEREC CROWNS and 4 composite veneers. 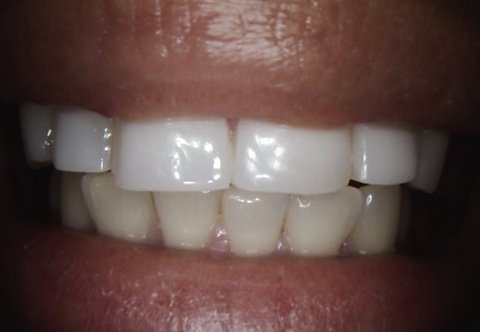 A week later, she came for 3 more composite veneers in One Visit on same day in 2 hours. 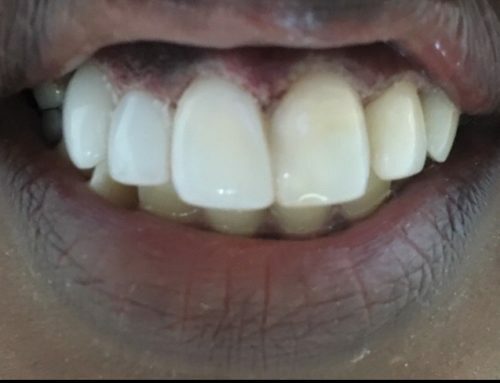 She was very happy with her new teeth.